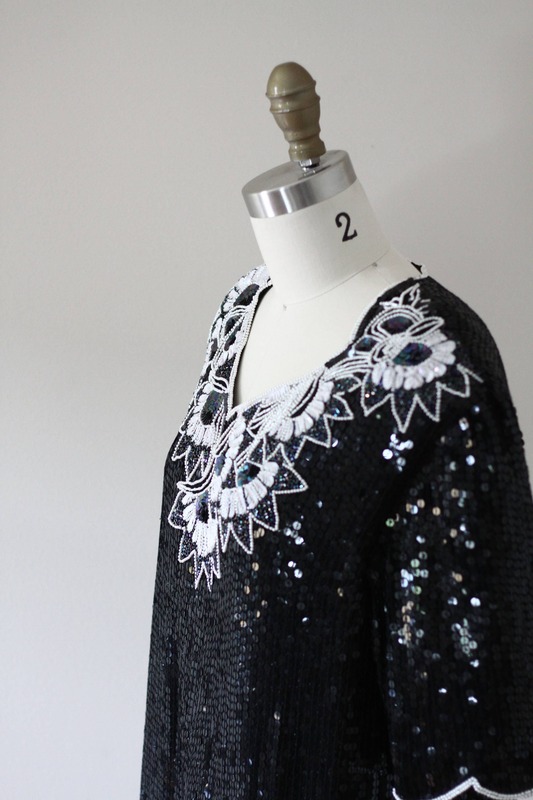 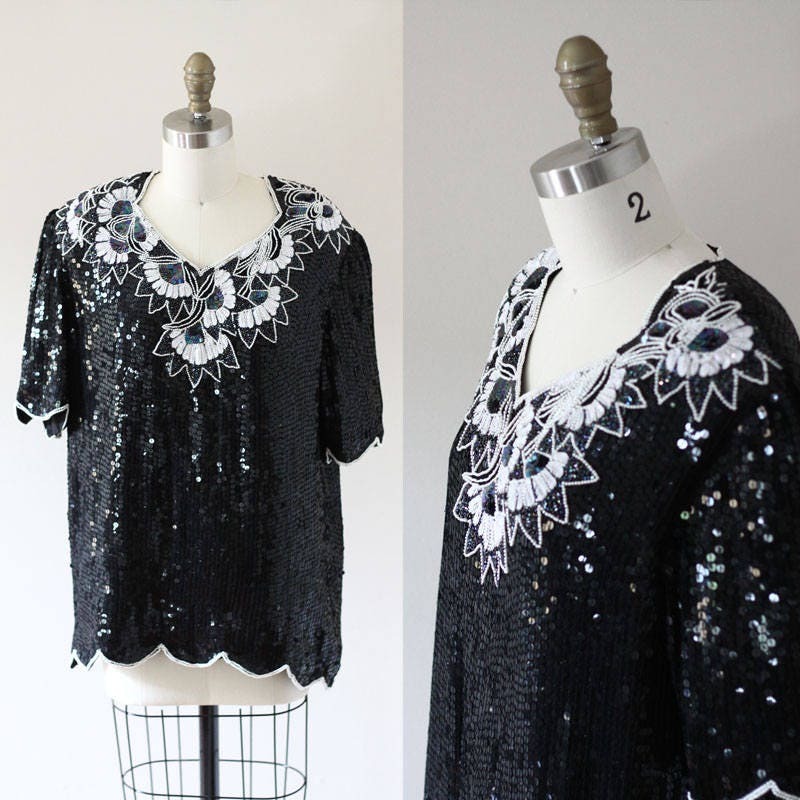 1980s black short sleeve sequin top with white beaded floral designs around the chest. 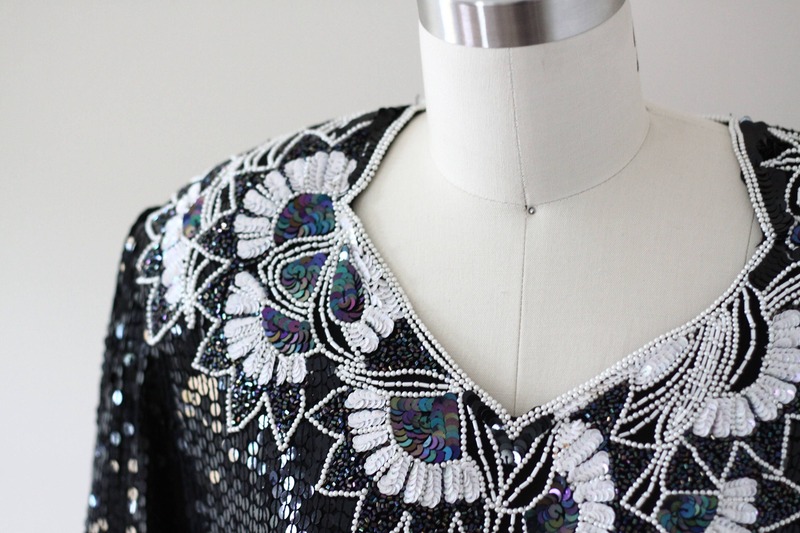 Beading and sequins are in tact. 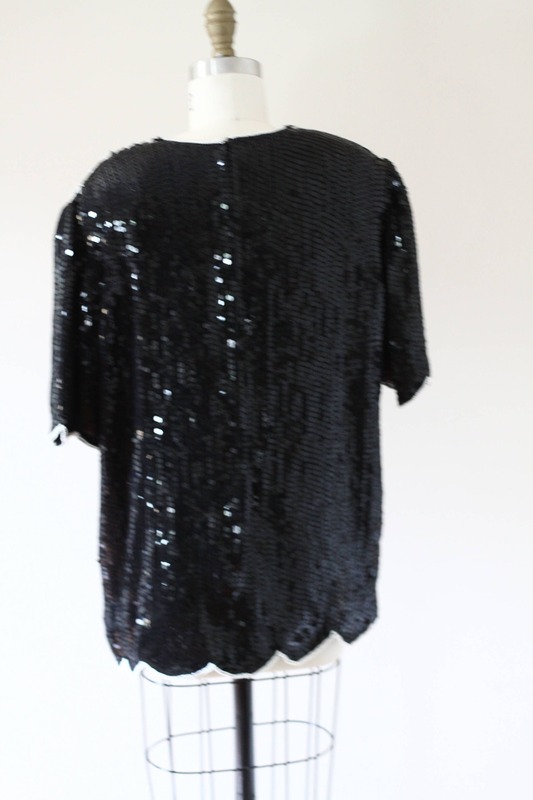 Blouse is fully lined and zipper closure running up the back.